1 Battery cases vs power banks: What’s better? Your quest for the best power bank for Galaxy S9 and Galaxy S9+ ends here. There are quite a few options available for customers who want reliable external battery packs that they can carry around with them and charge their new Samsung flagship as and when required. This list has some of the best options available right now that provide the good value for money. Many customers will think about purchasing an external battery pack for Galaxy S9 after they pick up the device. That’s because the Galaxy S9 and Galaxy S9+ have the same battery capacities as their predecessors and official Galaxy S9 battery life stats aren’t that different from the Galaxy S8. Battery cases vs power banks: What’s better? It depends on your preference. External power banks tend to have higher capacities and they can be used to charge multiple devices. You can chuck one in your bag and forget about it. Battery cases snap on to the device and add significant weight and heft to it. Sure, you can charge up the device and then take off the case but then you’re left without protection on the phone. With an external battery pack, you can use any case and simply disconnect it when you don’t want to carry it around. Moreover, heavy users can get multiple charge cycles out of an external power bank while most battery cases are only good for one full additional charge cycle. 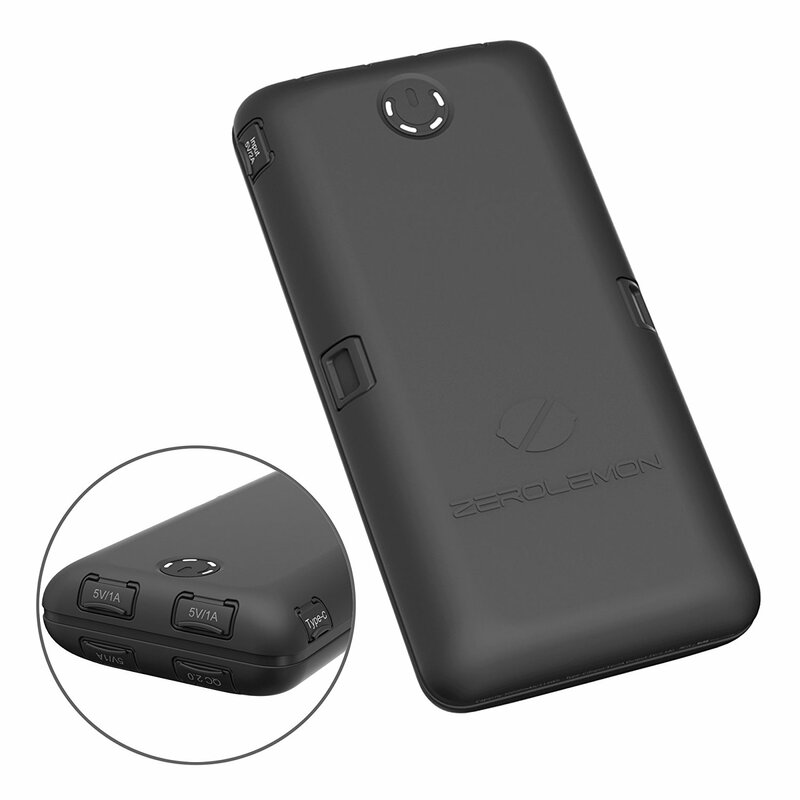 The ZeroLemon ToughJuice is first on our list of best power bank for Galaxy S9 and Galaxy S9+. It has a very high capacity of 30,000mAh, that’s ten times more than the Galaxy S9’s 3,000mAh battery. It can charge up to five devices simultaneously through its one dedicated USB Type-C port for Fast Charging and four USB Type-A ports. The one downside here is that it has a microUSB input so you can’t use your Galaxy S9’s charger to fill up this power bank. It’s also the most expensive option on our list as it’s priced at $54.99 on Amazon. Consider the 20,100mAh RAVPower USB Type-C power bank if you don’t require ten times the battery capacity of your Galaxy S9. It supports both Quick Charge 3.0 and USB Type-C input/output so the power bank can be fully charged in under five hours and it can charge compatible smartphones from 0 to 80 percent in under 60 minutes. The 20,100mAh battery is packed inside a body that has a classic matte design with a scratch resistant surface. One of the best-selling external battery packs on Amazon, it’s available for $49.99. This power bank is obviously a bit expensive despite its low capacity because it’s Samsung-branded. The 5,100mAh Samsung Fast Charge Portable Battery Pack provides up to two additional full charges for the Galaxy S9 and Galaxy S9+. 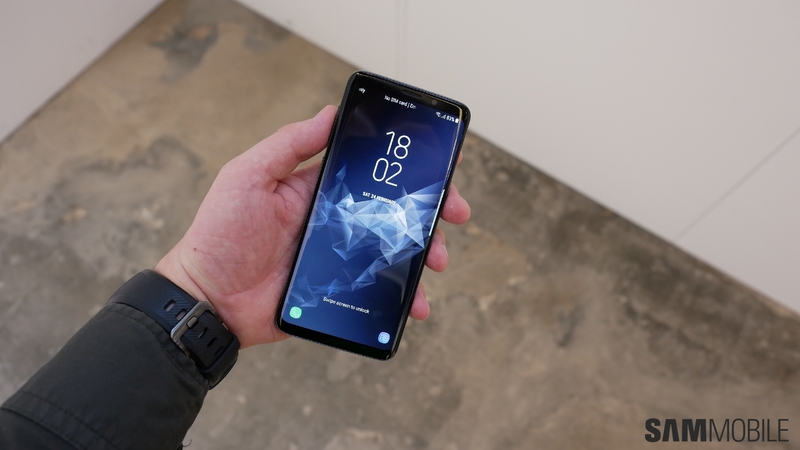 It supports Samsung Fast Charge which enables compatible devices like the Galaxy S9 to charge up to 1.5x faster than standard USB charging options. 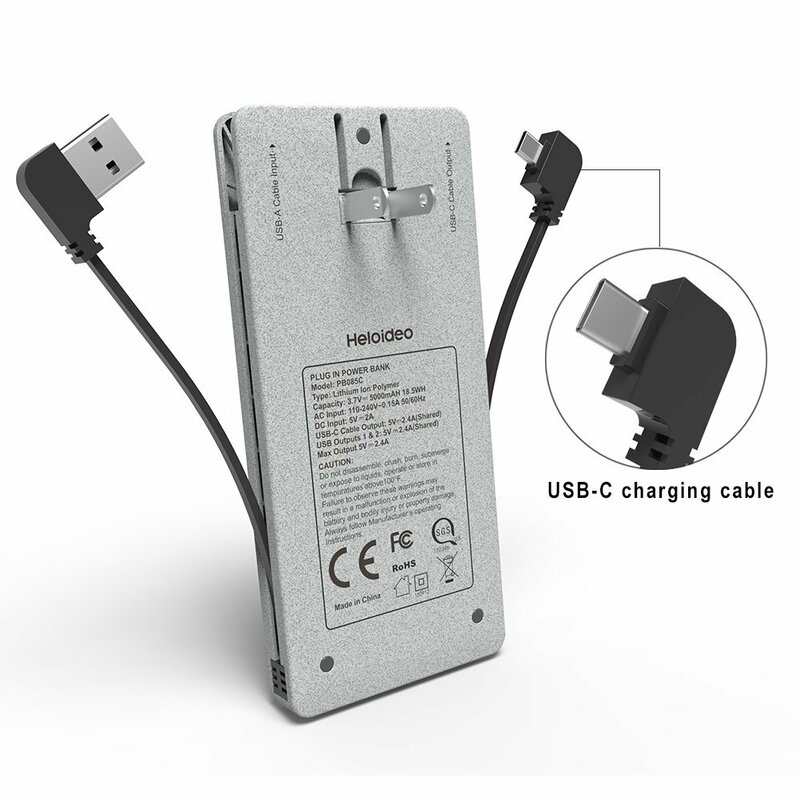 It can also be used to charge any other USB compatible device. 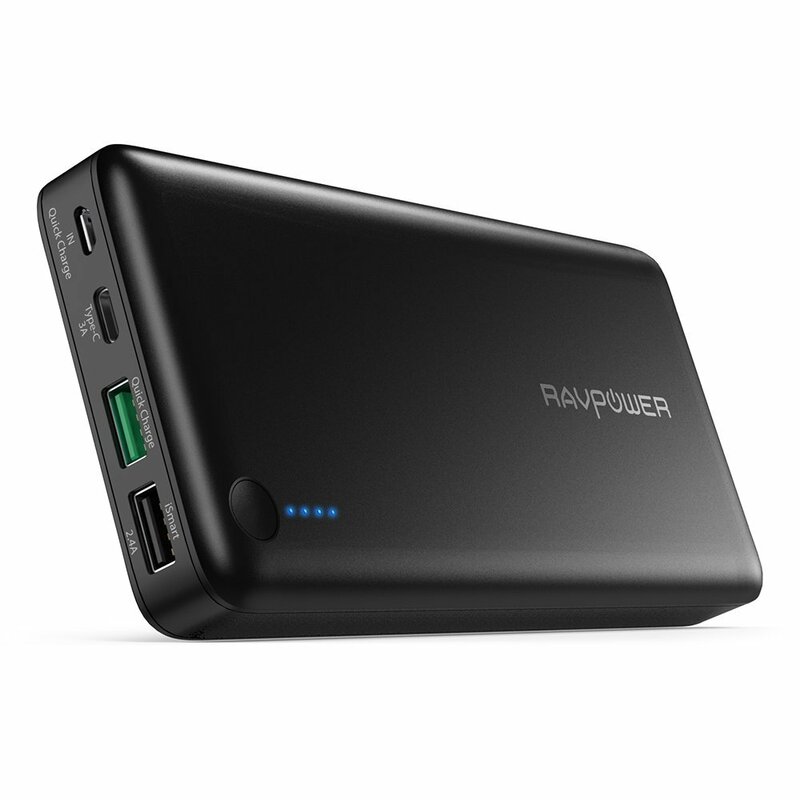 The battery pack supports pass-through charging which means you can charge it and your phone at the same time. Just connect your phone to the portable battery and then start charging the battery. It also has USB Type-C input which will let you use your Galaxy S9’s charger to charge the battery pack. It’s available from Amazon for $39. 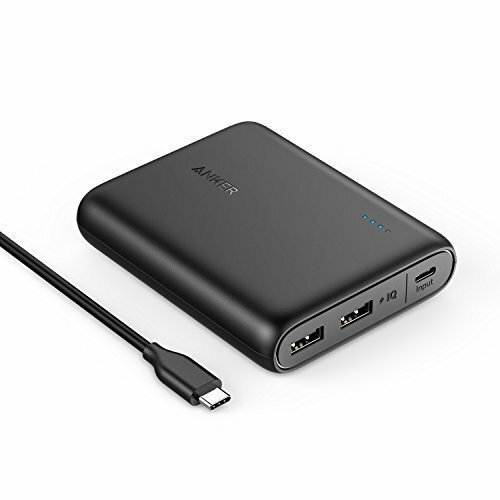 The Anker PowerCore earns a place on this list of best power bank for Galaxy S9 and Galaxy S9+ because the company is well regarded for its quality accessories. This power bank has a 13,000mAh capacity which is enough to provide almost four full charge cycles for the new Samsung flagship. It has USB Type-C input which means you can use your phone’s charger to fill up this power bank. It doesn’t support Qualcomm Quick Charge but can deliver a max speed charge of up to 3A with Anker’s Power IQ and VoltageBoost technologies. Measuring 3.8 x 3.1 x 0.8 and weighing 8.5 oz, it’s also quite easy to carry around. The Anker PowerCore is available from Amazon for $29.99. This is the cheapest and also the most unique option on our list of best power bank for Galaxy S9 and Galaxy S9+. 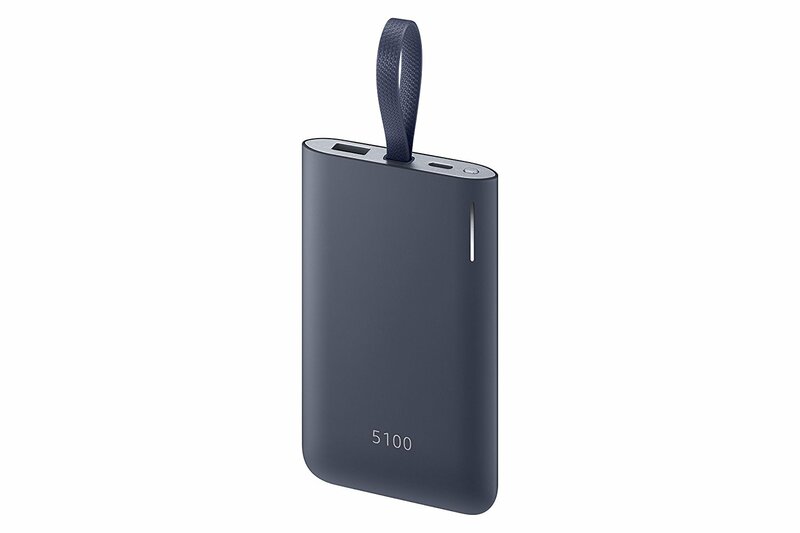 It may only have a 5,000mah capacity but this slim power bank has a built-in AC plug which means you can directly plug it into a wall outlet to charge it up. It has a built-in USB Type-C cable within its 0.6-inch thin body. You can buy it on Amazon for $27.99.